I wish I was born in 1988. This would have been a much easier list to compile. Heck, it nearly could have been dominated by anime alone - Akira, Grave of the Fireflies and (one of my favourite films of all time) My Neighbour Totoro. But it was not to be, as I am a child of the comparatively less influential year of 1987. This list was therefore ever so slightly tricky to compile. But, ultimately, like pretty much every year, the year of my birth still had plenty of wonderful films, even if I wasn't directly aware of it until I scoured wikipedia looking for release dates. I once overheard someone use the phrase 'exploitation art': a statement ludicrous on various fundamental levels. Yet it could easily be applied to Killer Joe, the latest film from Exorcist director William Friedkin. Based on a play by Tracy Letts (also screenwriter here), the film toes a dangerous line between knowing, playful exploitation and morally objectionable trash. For many, it may fall in to the latter category. 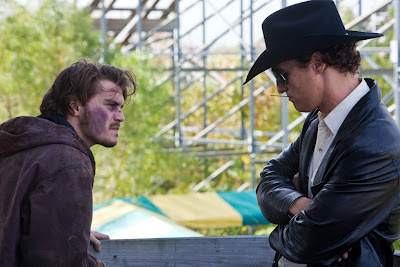 But it would be unfair to dismiss it as such, because Killer Joe is fully aware of its inherent ridiculousness, and hence emerges as a surprisingly funny and endearing slice of cheeky depravity. There are times when the lights go up in a cinema, and although barely a word is exchanged, you just know everyone else has just been through the same emotional voyage that you have been. It's that great communal theatre experience, and one that simply cannot be emulated at home. 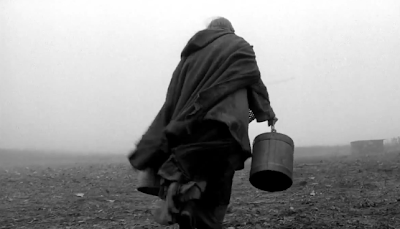 And when the lights came up following The Turin Horse, those who had survived (only two walkouts, which isn't too bad considering) all certainly felt exhausted and a little depressed. Whether they were impressed or not? Well, that's a slightly tougher one to call. A documentary called Dear Zachary has attracted a lot of attention over recent years, and largely with good cause. It's one of the most emotionally powerful non-fiction stories put on-screen in recent times. Surprising, heartbreaking and, ultimately, celebratory: celebrating the compassion and humanity of a couple who experienced a series of shocking tragedies. You really couldn't write the twists & turns the story takes. And yet, when reflecting on the film as a film, I couldn't help but think as a documentary in the traditional sense it's deeply flawed. An overly literal voiceover, a cheesy soundtrack, a complete (and self-proclaimed) lack of film-maker objectivity: basically the film telling you exactly how to feel, and when to feel it. The presence of these usually deplorable traits is basically justified in Dear Zachary given the sheer emotional strength of the story and the intensely personal nature of the story being told. Even the voiceover works as the film is structured like a letter (the title gives that one away). But while Dear Zachary works due to the story's utterly unique elements, I ultimately concluded that I never want to see a documentary like it again. Documentary 101 classes should teach students to not even attempt to emulate it. In the first of a new series on filmhaha.com, we present a series of offbeat double-bills. These are not films from the same franchise or director. Remakes are unwelcome here, as are re-adaptations. Instead, we'll examine a series of films that resonate with each other in various intriguing ways in order to act as surprisingly effective duo. These resonances can include distinct riffs on a theme, curious stylistic contrasts or films with similar concepts that are executed in entirely different ways. 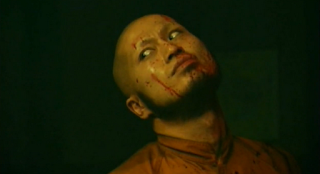 We'll start with some B-Movie fun, analysing the pulpy thrills offered by two entries in the surprisingly underexplored 'Elevator Horror' subgenre: Hiroki Yamaguchi's Hellevator: The Bottled Fools and John Erick Dowdle's Devil.